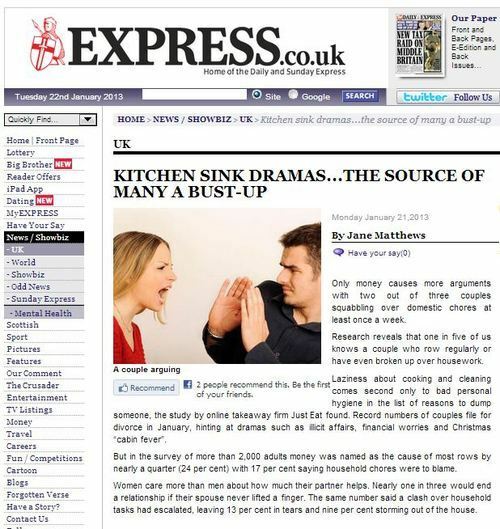 Only money causes more arguments with two out of three couples squabbling over domestic chores at least once a week. Research reveals that one in five of us knows a couple who row regularly or have even broken up over housework. Laziness about cooking and cleaning comes second only to bad personal hygiene in the list of reasons to dump someone, the study by online takeaway firm Just Eat found. Record numbers of couples file for divorce in January, hinting at dramas such as illicit affairs, financial worries and Christmas “cabin fever”. But in the survey of more than 2,000 adults money was named as the cause of most rows by nearly a quarter (24 per cent) with 17 per cent saying household chores were to blame. 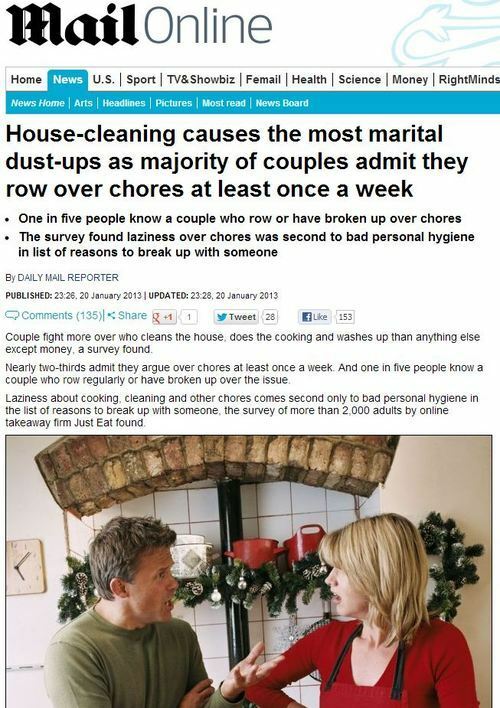 Couple fight more over who cleans the house, does the cooking and washes up than anything else except money, a survey found. Nearly two-thirds admit they argue over chores at least once a week. And one in five people know a couple who row regularly or have broken up over the issue. Laziness about cooking, cleaning and other chores comes second only to bad personal hygiene in the list of reasons to break up with someone, the survey of more than 2,000 adults by online. 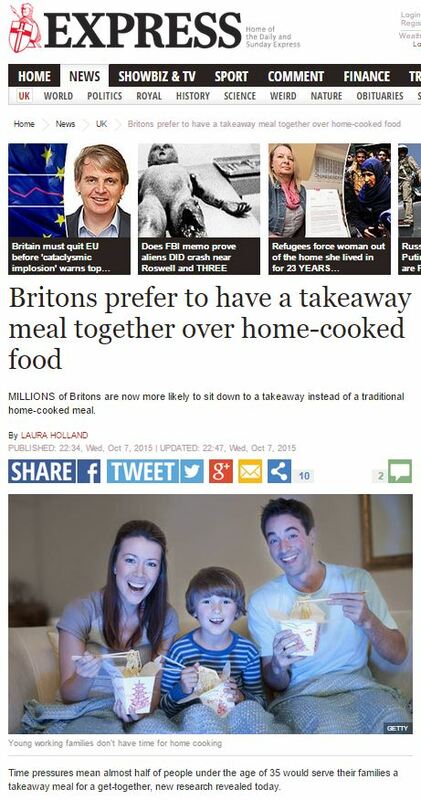 That would be Just Eat, the takeaway company, telling you that you’ll argue with your loved one over who does the cooking, unless you find a way to avoid either of you having to cook. This entry was posted in Uncategorized and tagged Celia d'Felice, daily express, daily mail, daily mail reporter, David Buttress, jane matthews, Just Eat, Simon Purkiss on January 31, 2013 by Michael Marshall.